A delegation comprised of Iranian economic experts has traveled to Syria to explore investment opportunities and finalize the reconstruction plans of the war-stricken country. 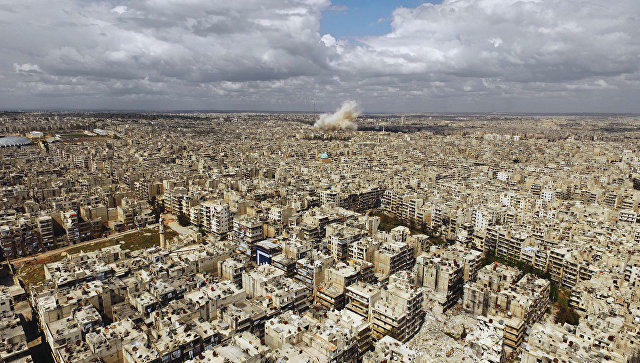 Economic experts and senior officials from Iran’s ministry of road and urban development have traveled to the Syrian capital of Damascus to pursue the Arab country’s reconstruction plans, Mehr news agency reported on August 13. Upon his arrival in Damascus, deputy minister of roads and urban development, Amir Amini, said, “Iranian investors and industrialists are seeking to play a key role in the reconstruction of Syria”. He added that the continuation of “strategic” cooperation would serve the two countries’ interests. The delegation will hold several meetings with senior Syrian officials during their three-day visit. Many urban hubs across Syria, particularly around Damascus, have been hard-hit by hostilities, and President Bashar Assad said this month that rebuilding would be his “top priority”.